Hello! If you've found this site, it's either because you're a friend or family member following along with our journey (in which case, thanks for following along!) OR, you're also struggling with infertility and are obsessively searching the web looking for others like you so that maybe you can find hope, or guidance, or just someone who totally "gets it." I'm so there with ya, trust me. 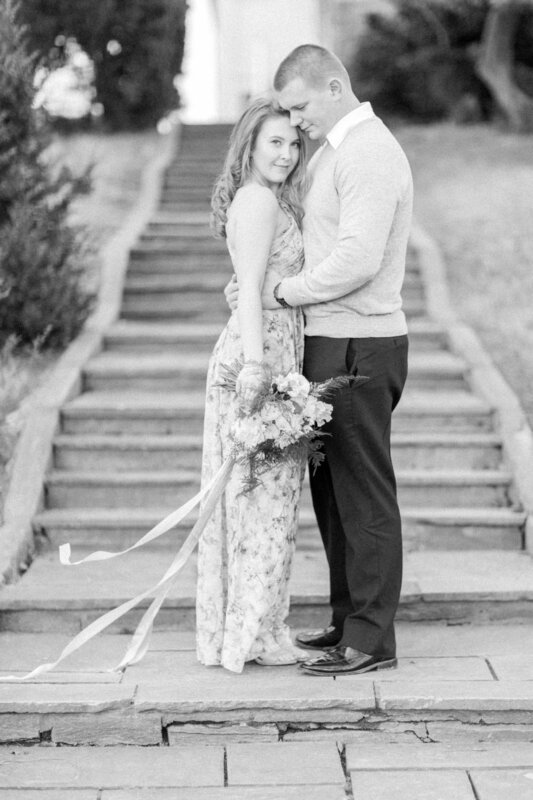 My husband, Kyle, and I are both 27, have been married for two years (since January 2015) and have been together since we were freshman in high school :) I've actually never been on birth control my whole life. I'm not sure why, I just never liked the idea of messing with my cycle and I knew I could use other forms of contraception, which we did. But for some reason, I always had this lingering thought in my head that I would wind up here (here = the club of infertility). I knew my mom had complications with pregnancy, never with getting pregnant, but with staying pregnant and carrying to full term - maybe that's where my worries stemmed from? Or maybe it was just a gut instinct. But other than those two things, I never had any medical reason to think that I would have any trouble getting pregnant. My cycles were always consistent, normal and perfectly timed. Well, it turns out that gut instinct I had was true. After a year and a half of trying to start a family, we were stumped. We began fertility testing in early November 2016 and by the end of December, I had my diagnosis: a left unicornuate uterus. Simply put, I have half of my reproductive system. One left tube and the left half of a uterus. But, lucky me, I still have both ovaries. So, whenever I ovulate from my right ovary that isn't connected to anything, I have zero chance at getting pregnant. The doctors say that technically we could still get pregnant naturally, but it could take up to 4 years or longer since our chances are cut at least in half. And, with my small uterus, the earlier I can get pregnant the better because my chances of carrying full term and delivering a live baby are higher the younger I am. So, there's no waiting around for 4 years for us.